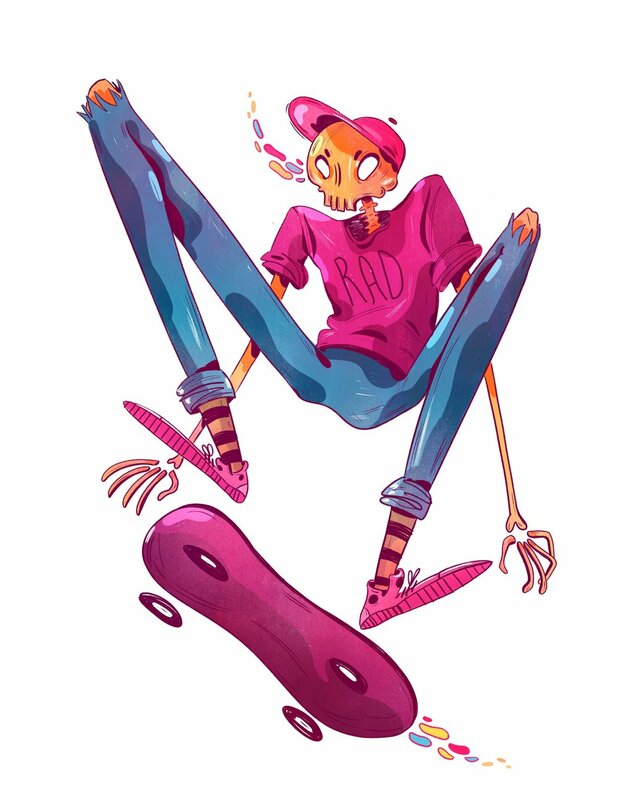 Toronto-ish illustrator interested in cartoons and skeletons and cartoon skeletons. I like telling stories and drawing colourful pictures to accompany them. I've never been on a skateboard but please don't tell anyone.